Finding a good project management solution is damn near as hard as finding the love of your life. If you’re already in love with WordPress, or BuddyPress and you’ve been dreaming of managing your projects from your WordPress or BuddyPress dashboard, I’ve got just the thing for you. I’ve tested most of the project management plugins on the market, and a lot of them are very disappointing and complicated to use. But my painstaking ordeal of trial and error has not been in vain. I’ve managed to find two project management solutions which are actually pretty easy to use and have all the basic features required managing a successful project. One of them is for BuddyPress, the other for WordPress. Since I’m partial to BuddyPress, let’s start with the WordPress solution. I’ll be showing you the BuddyPress solution next…gotta save the best for last! This is a super simple, user friendly project management plugin for WordPress (oh, it’s also free…woohoo!) 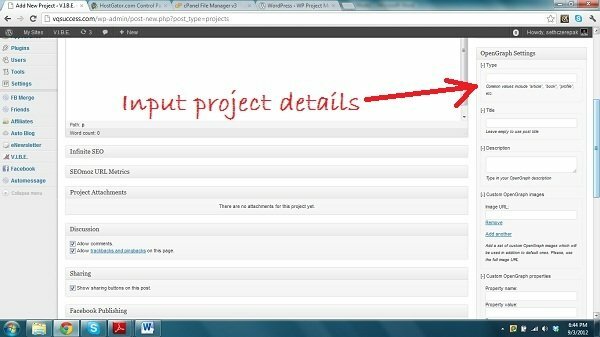 With WP Project Management Ultimate, a new project is created in the same way as a new WordPress post. 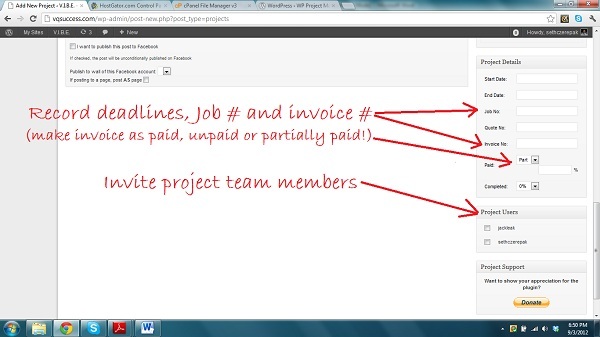 Once you’ve got your projects organized into types, the WP Project Management Ultimate dashboard allows you to sort and to search your projects by type, date range, deadline or payment status. Notification emails sent to members of project team when project is updated or comment is left by another team member. Overall, I think this is one of the best WordPress Project management solutions for the WordPress user who is on a budget and who doesn’t care to spend a lot of time learning how to use complex features. The “GMT” in BP GTM System stands for “Group Task Management,” and that’s exactly what this cool (FREE) BuddyPress plugin does. You simply create a project team by creating a BuddyPress group, then you can assign projects to group members according to predefined roles. I prefer this to the WP Project Management Ultimate because you can better organize who is responsible for what tasks. You can also make yourself the project owner and delegate the management to your project manager (less work, that’s always a good thing right?). 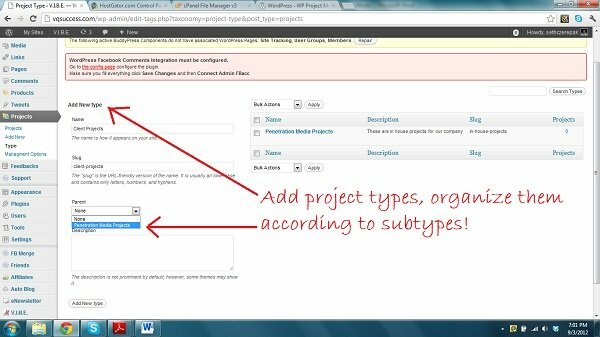 Ability to create categories for organizing your projects. Okay, so if I could wave my magic wand and add a few features to each of these project management plugins, I certainly would. But considering that they’re both easy to use, free and that they get the job done right from your WordPress or BuddyPress site, you won’t hear me complaining.